“I saw the photos of Noh no Ikebana on the Japan Agricultural News and thought I want to do it myself. Then I began in 2012. I often use vegetable flowers. My favorite ones are flowers of Chinese chives. Looking at the white, small, and cute flowers, many blooming all together, makes me feel happy and calm. I also love the interesting look of their buds, which look like the heads of snakes. We seldom see vegetable flowers in supermarkets. So, we farmers are lucky to have and enjoy looking at them. When I find good-looking vegetables, plants and flowers, I took them home for my display at home entrance. People coming to my house also like them very much, and some said they want to try. 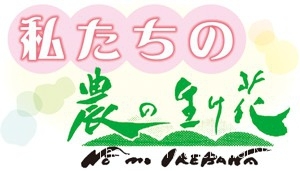 <Materials> Sweet potatoes, Japanese radishes, spring onions, kiwi fruits, Chinese chives, chestnuts, Japanese shiitake mushrooms, etc. 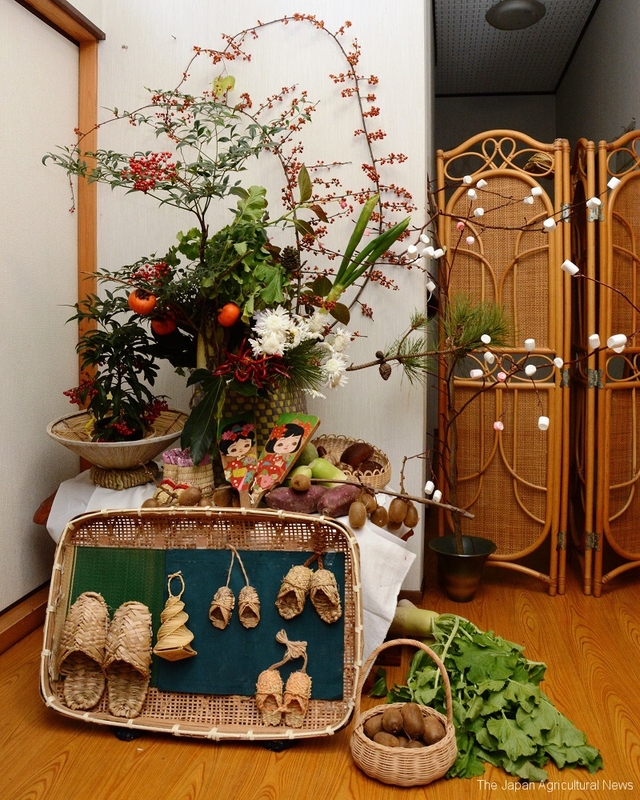 This entry was posted in Noh no Ikebana, Photos. Bookmark the permalink.